I’m learning new things in Blender and these days it is particle systems. Superb tool for example to distribute random trees and bushes on a surface. 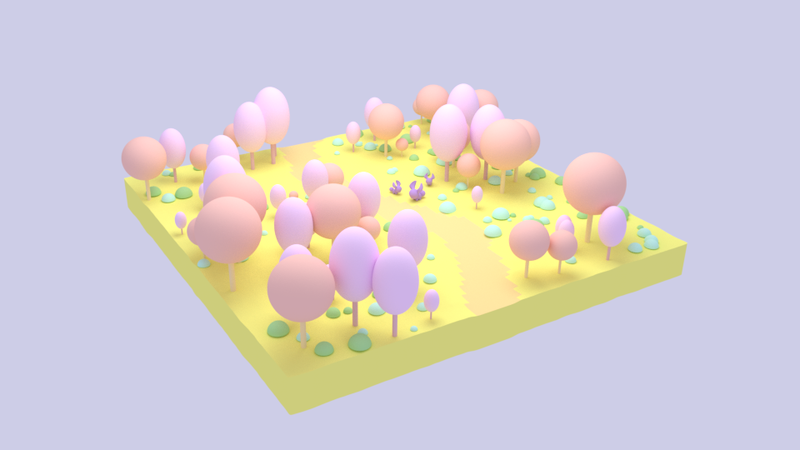 Now I tried in this cute pastel forest. Those “bunnies" reminded me of Pokemon : ). The most horrible decision was the color of background. Which one do you prefers?